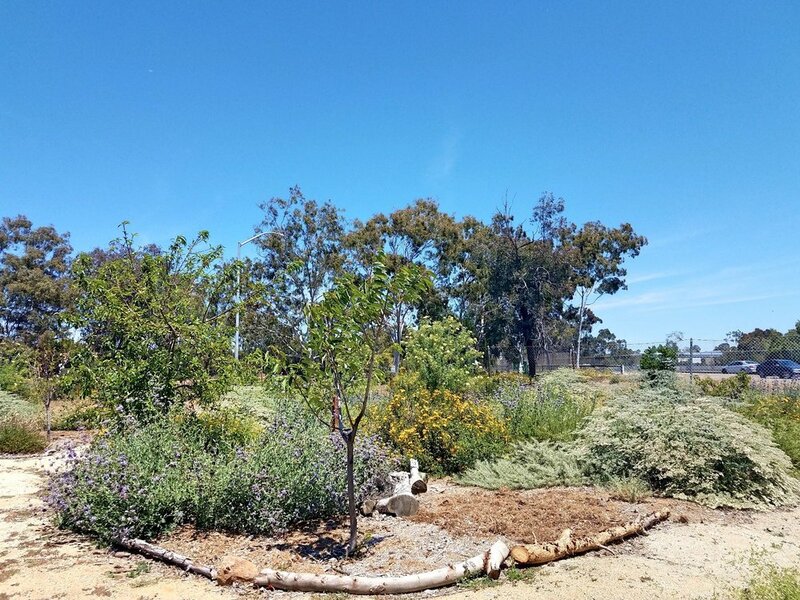 GroundWorks San Diego-Chollas Creek has brought awareness of our natural environment to community members in central San Diego through programs at EarthLab, a 2-acre plot right off Euclid Ave. and SR 94. Every year, hundreds of public school students learn about growing plants there. Over several years, grants supported staff and volunteers to grow thousands of native plants, to restore Chollas Creek. These projects teach students about wildlife as well as plants. Other projects are teaching students how to grow vegetables and fruit trees. Most recently, GroundWorks improved 1/4 acre of EarthLab to become a water conserving Demonstration Garden. This area showcases low-water plants that homeowners can plant in their own yards. Mini-Grants from CNPSSD bought CA native plants for the Demo Garden between 2016 and 2018. GroundWorks grants are now funding homeowners to convert home landscapes to conserve water, using many of the plants growing at EarthLab. As the photos show, the native plants sponsored by CNPSSD are growing beautifully on a low-water irrigation schedule. The Demo Garden is still evolving. It is a dynamic project, engaging community volunteers for various garden projects. With wise management, caring volunteers, and adequate funds, it can grow to be a beautiful community asset for residents of central San Diego. If you are interested, please get in contact to learn more.